1783 - United Empire Loyalists start moving to the north shore of the St. Lawrence River following the American Revolution. 1783-1784 - Crawford Purchase negotiated by Captain William Redford Crawford on behalf of the Crown with the Mississauga tribe. As part of the treaty, land is included up to one day travel time north of the St. Lawrence River and the Bay of Quinte, and was surveyed two to three townships north of the riverfront. This treaty is now regarded to include land from the Trent River to the east boundary of Leeds County. Chief Mynass also included land as far north as the Ottawa River, however, when surveying in Marlborough Township, Oswegatchie Onodaga tribesmen stopped the surveyors on their hunting territory. The Crown negotiated with Akwasane (St. Regis) Mohawk and Oswegachie Onadaga tribes for land on the St. Lawrence front. Both tribes eventually settled. The Onadagas moved to the south shore and were eventually dispersed by the American government. It now regarded that the Crown had not settled with Algonquian tribes, whose traditional lands were in the Ottawa River valley. Gloucester Township is considered unceded territory [Indian Land Surrenders in Ontario 1763-1867 by R. Surtees]. 1788 - Lunenburg District created, including the area that later became Gloucester Township. 1792 - Township of Gloucester first surveyed and known as Township B. 1793 - Gloucester Township named after William Frederick (nicknamed Silly Billy), second Duke of Gloucester and Edinburgh, nephew of King George III. Gloucester Township was first known as Township B. Gloucester Township is part of Dundas County in the Eastern District. 1800 - Russell County established. Gloucester Township included. 1812- Braddish Billings is the first permanent settler. 1813 - Braddish Billings marries Lamira Dow in Merrickville and returns to Gloucester with his bride. 1815 - Sabra Billings is the first Caucasian child born in Gloucester. 1815 - Following a visit to family in Merrickville, the Billings family is swept over Hog's Back Falls. Philamon Wright rescues the family. 1816 - Gloucester Township becomes part of the Ottawa District. 1820 - Township survey completed. 1823 - Braddish Billings constructs a sawmill on a creek running through his property near today's Bank Street. This creek has been known as Sawmill Creek ever since. 1825 - Braddish Billings appointed as Clerk and Assessor for Gloucester Township. The first assessment lists 12 families. 1826 - Construction of Rideau Canal commences. 1827 - Thomas McKay builds his first home, a double frame structure with a stone barn behind at the corner of John Street and Stanley Avenue [Ottawa Journal, March 1, 1967 p.36]. 1827 - James Johnston settles at Hardscrabble, near today's Rideau-Carleton Raceway. 1829 - (October 21) Billings family move into their new home known as Park Hill (now a City of Ottawa museum). 1829- Dam at Hog's Back is washed out. A previous washout took place in 1828. The dam was completed in 1829. 1830 - Farmer's Bridge later known as Billings Bridge is completed, linking Gloucester Township with Nepean Township and Bytown. 1830 - Jean-Baptiste St. Louis erects the first sawmill at Rideau Falls. This is the beginning of the industrial complex at this location. 1831 - Thomas McKay purchases Lot 1, 2, 3, and 4, Junction Gore. This is the present site of New Edinburgh, most of Rockcliffe Park and parts of Vanier. 1832- Municipal Reform Act establishes roles for municipal officers but not responsible to electorate. 1832 - Rideau Canal completed. 1832 - (January 2) First town meeting held at John Cunningham's Inn on the site of present day Ottawa airport. 1833 - The east side of the Rideau River near Rideau Falls is named New Edinburgh by Thomas McKay. He encouraged other Scotsmen who had worked on the Rideau Canal to settle there. 1833 - Village of Long Island Locks first settled. 1834 - Assessment lists 156 householders. 1834 - First residents arrive in area of Blackburn Hamlet. 1834 - Stagecoach service begins between Bytown and Prescott via Billings Bridge, Bowesville and South Gloucester. The road is known as the Bytown & Prescott Carriage Road. 1834 - The approximate year during which the first church opened in Gloucester, a Methodist church at Long Island Village. Another Methodist Church opened at Leitrim in 1837. 1837 - The first Cummings Bridge was built as a collective project of the citizens of Bytown. It connected Rideau Street to Montreal Road via an island in the middle of the Rideau River. Charles Cummings and his family moved to the island in 1840 [Ottawa Citizen, Feb. 22, 1922 p.5]. This became the post office named Cummings Bridge in 1879, serving the community of Janeville and later Eastview [Library and Archives Canada Post Office and Post Master Index]. 1837 - The first school in New Edinburgh is erected and opens as a school in 1838. First known teacher is James Fraser. A plaque has been erected in front of the building at 62 Sussex Drive. 1838 - Gloucester Township becomes part of Carleton County in the Bathurst District. 1838 - Rideau Hall, first known as 'The Castle' was completed and owned by Thomas McKay. Thomas McKay was the contractor who built a number of the locks on the Rideau Canal. 1842 - (March 19) District of Dalhousie proclaimed. Gloucester Township included. 1843 - Ferry Service operated between Rockcliffe to Gatineau Point. The first operator was James O'Hagan, also first mayor of Gatineau Point. The Seguin family operated the ferry from 1875 until at least 1971, first by Jean Seguin. The ferry and a boathouse was located below the Rockcliffe Lookout and was accessed by a winding road and a stone stairway from a former streetcar station. Bernard Seguin sold the boathouse in 1985 which continues to operate as a restaurant [Ottawa Journal, March 27, 1971 p.6, August 22, 1964 p.37]. 1844 - The current route of Bank Street (then known as Prescott Road) between Billings Bridge and South Gloucester is established. 1846 - New Edinburgh Bridge replaced at Green Island. Early bridges built in the 1830s frequently washed out over Rideau Falls. 1847 - Billings Bridge washed out. Further washouts took place in 1862, 1876 and 1913. 1849 - Baldwin Act passed establishing municipal government. 1849 - Gloucester Orange Lodge No. 222 is chartered. The first meeting takes place in January 1850. It first meets at various homes in the southern part of Gloucester, and the first lodge building is built in the 1860s on Bank Street near Blossom Park. 1850 - Delorme Post Office opens. The name changed to Lourdes in 1875 and Cyrville in 1892. 1850 - Gloucester appoints first constables who effectively act as by-law enforcement officers. 1851 - Common Schools Act proclaimed, establishing the School Section system. 1852 - Daniel Eastman opens an inn in what is now known as Carlsbad Springs. 1853 - The Rideau Canal ceases to be a military canal and is turned over to Canada West for commercial use. Commercial shipping continued until 1930. Passenger steamers continue until 1935. 1854 - Nepean and Gloucester connected by two bridges at Long Island. From the Nepean side via a bridge at the north end of the island and the Gloucester side via a swing bridge further south. 1854 - Bytown and Prescott Railway completed through the township (renamed Ottawa and Prescott Railway in 1855 and leased to CPR in 1881) Railway runs through Gloucester from Manotick Station to New Edinburgh via Gloucester Station, Ellwood, Billings Bridge, Overbrook and Janeville (Vanier). Thomas McKay was instrumental in bringing the railway to Bytown, which also explains the routing via New Edinburgh. 1857 - Billings Bridge washed out [Ottawa Citizen, October 24, 1925 p.2]. 1855 - (Oct. 9th) Thomas McKay dies. 1859 - Dickinson's Grist Mill opens in Manotick. This and the opening of the railway sets the stage for the gradual abandonment of the village at Long Island Locks. Manotick is the Ojibwa word meaning "long island". 1862 - First wooden bridge built over west channel between Long Island and Manotick [A History of Long Island Manotick 1827-1997 p.7]. 1863 - Separate School Act (Scott Act) enacted, which extended separate school rights to rural areas. The Scott Act is named after Richard William Scott. 1864 - Thomas Coltrin Keefer subdivides the McKay estate to establish the beginnings of the community of Rockcliffe Park. 1864 - (April 8) Braddish Billings dies. 1865 - (April 2) Rideau Hall is leased by the government for the Governor General's residence. 1865 - The first cricket pitch was established for the Ottawa Cricket Club at Rideau Hall. The club was originally established in 1840 as the Carleton Cricket Club, re-established as the Bytown Cricket Club in 1849 and renamed the Ottawa Cricket Club in 1858. Prior to Rideau Hall, early matches were held at what is now known as Cartier Square. 1865 - Ottawa and Prescott Railway goes bankrupt. No trains run into Ottawa for 2 years. 1865 - Ottawa and Gloucester Road Company is established to build and improve the road between Uppertown Ottawa and South Gloucester. This road is now known as Bank Street. 1865 - The second Cummings Bridge opens. Its official name is the New Rideau Bridge, but also known as the Sandy Hill Bridge during this era. 1866 - Monck wing added to Rideau Hall. The Viscount Monck is the first Governor General to move into Rideau Hall. 1867 - New Edinburgh is incorporated as a village. 1868 - 24 Sussex Drive is built by Joseph Merrill Currier, MP. Originally named 'Gorffwysta', Welsh for 'Place of Peace'. 1868 - McArthur Avenue is built through the McArthur farm as a shortcut for residents travelling from the Cyrville area, and to reduce or evade road tolls on Montreal Road. 1868 - (July 28) Rideau Hall purchased by Government of Canada as Vice Regal residence for $82,000. 1869 - Terrific snowstorms stop trains travelling between Prescott and Ottawa. 1870 - (July 21) Ottawa City Passenger Railway Company introduces horse drawn tramway along Sussex Drive as far as the edge of Rockcliffe Park. 1870 - (August 17th) Gloucester affected by Carleton County fire especially near Green's Creek. 1870 - First Spa and resort is built at Eastman's Springs (now Carlsbad Springs) by Dominion Springs Company. 1871 - Branch line added to Ottawa and Prescott Railway from Chaudiere Junction (Ellwood) to LeBreton Flats via Dow's Lake (today's O-Train line). 1871 - Approximate year that the Carleton County Police Force was established, covering Gloucester and the other townships of the county. 1872 - New Edinburgh Bridge replaced [Ottawa Citizen, February 6, 1872 p.1]. 1872 - Notre Dame Cemetery opens as a result of an Ottawa city by-law forbidding further internments inside the city limits. 1873 - The newOttawa Street (St. Patrick Street) Bridge opened [Ottawa Citizen, March 5, 1872 p.1, September 2, 1873 p.2, January 3, 1874 p.1]. 1873 - Beechwood Cemetery established on the McPhail farm and parts of the McKay/Keefer estate. 1874 - Township Hall built at Billings Bridge (photo above right). The previous town hall, which was also located at Billings Bridge was sold at auction. 1874 - Gloucester Agricultural Fair commences on land adjacent to Town Hall at Billings Bridge. The fair continued until 1904. Later, this was known as Coronation Park. 1874 - Gateville subdivision established just south of Billings Bridge. 1875 - First wooden Hurdman's Bridge opens. [Ottawa Citizen; December 16, 1875 p.2]. 1876 - Robert Cummings elected Warden of Carleton County [Belden Atlas of Carleton County, 1879 p. li]. 1876 - Orange Lodge No. 222 relocates to Billings Bridge. 1876 - (April) Billings Bridge washed out and over Rideau Falls damaging McLaren's Dam [Ottawa Citizen, April 19, 1876 p.4]. 1878 - New Billings Bridge built by the Ottawa and Gloucester Road Company and Carleton County [Ottawa Journal, December 4, 1912 p.1]. 1878 - Canada Temperance Act (also known as the Scott Act) enacted allowing communities to hold plebicites on liquor prohibition [Ottawa Journal, January 4, 1939 p.22]. The Scott Act is named after Richard William Scott. 1880 - Public stagecoach service between Billings Bridge and Ottawa commences and is operated by William Whiten and W.J. Parry. The service was discontinued in 1893. No further public transit was available to the village of Billings Bridge until the post World War II era. 1882 - Canada Atlantic Railway opens running through Gloucester from Hurdman's Bridge to Carlsbad Springs via Hawthorne (Today's Ottawa-Montreal VIA rail line). 1882 - First record of a brickyard operating near Billings Bridge. This was later known as the Merkley Brickyard. 1883 - The Ottawa Canoe Club is established and located at the foot of the Ottawa Locks. The first clubhouse is built in 1885. It relocates to Governor's Bay in New Edinburgh in 1894, because of navigational difficulties created by sawdust originating from the Chaudiere sawmills. In 1914, it merges with New Edinburgh Canoe Club and becomes the Ottawa New Edinburgh Canoe Club [Ottawa Citizen, May 14, 1931 p.19]. 1885 - The Grey Nuns of the Cross purchase 500 acres for Youville Farm in Orléans. This land was resold for housing development in 1970. 1886 - Swing Bridge constructed over the Hog's Back Locks and a fixed bridge over the Hog's Back dam. 1887 - New Edinburgh, including Green Island, annexed by the City of Ottawa. 1887 - Skiing first demonstrated in Canada. Lord Frederick Hamilton uses Russian skis at Rideau Hall. 1887 - St. Patrick's Orphanage and Asylum acquires property at Mooney's Bay to build a children's summer home. 1887 - (September 28) A fire rages from Pembroke to Navan and Thurso, affecting in Gloucester at least Concession 3, 4 and 5 Ottawa Front, Green's Creek, Mer Bleue, Eastman's Spring, Montreal Road east of Notre Dame Cemetery and the St. Lawrence and Ottawa Railway [Ottawa Journal, September 28, 1887 p.1]. 1888 - (June 6) Cyclone devastates large portions of Gloucester particularly near Billings Bridge, Hawthorne and Ramsayville. 1888 - 148 acres south of New Edinburgh (Lindenlea) and Porter's Island annexed by Ottawa. 1889 - New iron bridge built at Manotick [Ottawa Journal, December 8, 1887 p.1, June 15, 1889 p.1]. 1889 - New iron St. Patrick Street bridge built [Ottawa Journal, August 10, 1889 p.8]. 1889 - (August 3) Rockcliffe Park horse-drawn tramway opens, but not connected to Ottawa tramway until 1891. 1890 - (August 4) Gloucester authorizes the rent for a Police Station in Janeville. 1891 - (August 4) Streetcar service extended into New Edinburgh via the St. Patrick Street Bridge [Ottawa Citizen, August 5, 1891 p.4]. 1892 - Rideau Park subdivision established on part of the Billings Estate to open up the land for market gardeners. 1893 - Rockcliffe Park purchased by City of Ottawa to serve as a recreational area. 1893 - (June 17) Electric street cars start running to Rockcliffe via New Edinburgh and the St. Patrick Street Bridge. [Ottawa Citizen, June 16, 1893 p.8]. They were operated by the Ottawa Electric Street Railway Company, with principal officers being Thomas Ahearn and Warren Soper. 1893 - (August 13) Ottawa City Passenger Railway Company and Ottawa Electric Street Railway Company merge operations and becomes the Ottawa Electric Railway Company (OER) on August 1, 1894. 1893 - (March 29) The third Cummings Bridge built with iron trusses opens to traffic, with the official opening on April 5th. It was officially named Bingham's Bridge on April 17th in an Ottawa by-law to honour Samuel Bingham, the alderman who headed the works committee, and later an Ottawa mayor. A dispute arose when the city put up name plates on the bridge and Carleton County officials retaliated by placing their own name plate for 'Cummings Bridge'. The name plates were put up and removed a number of times until it was agreed that no name plate would be placed on the bridge. The original naming by-law remained in place. 1894 - Iron and stone bridge built between St. Patrick Street and Porter's Island [Ottawa Citizen, October 17, 1894 p.8, January 25, 1894 p.8]. 1894 - (May 3) Double track electric streetcar service opens to Rockcliffe Park. The Ottawa Electric Railway adds electric lighting to Rockcliffe Park pavilion and lookout and a merry-go-round is imported from Tonawanda, NY. 1895 - (Late April) Hurdman's Bridge replaced with new wooden structure with iron girders. Construction began on April 1st and was to be completed in late April [Ottawa Journal, February 7, 1895 p.1, April 2, 1895 p.7, April 17, 1895 p.6]. 1896 - (April 12l) Major Rideau River flood affects Billings Bridge, Janeville and New Edinburgh [Ottawa Citizen, April 13, 1896 p.7]. 1897 - (October 8) Five mile fire affects area around Base Line Road (today's Ramsayville Road) and neighbouring Osgoode township. Fires also seriously affect the vacinities of Casselman, South Indian (Limoges) and Bearbrook [Ottawa Journal, October 9, 1897 p.7]. 1898 - Ottawa and New York Railway opens running through Gloucester, from Hurdman's Bridge to Edwards via Hawthorne, Ramsayville and Piperville. 1898 - The Dominion of Canada Rifle Association Rifle Range commences operation at the site that later became Rockcliffe Airport. The Rifle Range had previously been in Sandy Hill near the present site of the Russian Embassy and Strathcona Park. 1899 - Minto Wing added to Rideau Hall. 1900 - (August 28) Rockcliffe streetcar extended to Dominion of Canada Rifle Association Rifle Range. 1901 - Minto Bridge opens connecting New Edinburgh with Lowertown. Named to honour the fourth Earl of Minto, Governor General of Canada from 1898 until 1904. 1901 (May 31) - The Earl of Minto, Governor General of Canada donates the Minto Cup initially for the senior's mens lacrosse championship. 1901 - (December 6) Bert Harper drowns in the Ottawa River below Rockcliffe in a failed attempt to rescue Bessie Blair. Both had been ice skating on the river and fell through the ice. On November 18, 1905, a Sir Galahad statue was unveiled in memory of this sad event. It is now located in front of Parliament Hill. 1901 - The practice of maintaining township roads by statute labour was abolished. Thereafter, residents no longer had the option of maintaining roads themselves for a specified number of days per year in lieu of paying taxes for road maintenance. 1902 - Eastman's Springs renamed Carlsbad Springs after famous spa in Czechoslovakia. First bowling alley in Ottawa area located at Spa/Hotel. 1902 - CPR short line opens running through Gloucester from Hurdman's Bridge to Blackburn. CPR transcontinental service to Montreal used this rail line until 1981. 1902 - (July 1) A monument was erected to the memory of Wesley Hull, who was killed on June 7, 1900 in South Africa during the Boer War. The monument was located next to the Orange Hall at Billings Bridge but was removed as a result of road improvements around 1960. It was rededicated on June 8, 1997 at St. George's Hawthorne Cemetery on Russell Road. 1903 - Minto Skating Club founded by the Earl and Countess of Minto initially making use of an outdoor rink at Rideau Hall with membership from the previous Rideau Skating Club founded in 1885. The Earl and Countess also donated the Minto Cup for the Canadian Men's Figure Skating Championship and the Minto Challenge Cup for pairs. [Ottawa Citizen, November 3, 1948 p.1 & p.20] The club made use of various Ottawa rinks before building a new facility on Lancaster Road in 1986 and 1987. The club's most famous member was Barbara Ann Scott who won an Olympic Gold Medal in 1948. 1904 - (June 18) The last timber raft is sent down the Ottawa River to Quebec City. The first raft was sent down the river in 1806. 1904 - Daughters of Wisdom build a prestigious residential school and convent in Janeville (Eastview). 1905 - As part of a widespread concrete sidewalk building project, sidewalks are installed on Stanley Avenue, Crichton Street and Dufferin Road in New Edinburgh [Ottawa Citizen, February 18, 1905 p.9]. 1905 - Snow family sells farm adjacent to Rockcliffe Rifle Range after near misses. 1905 - Council limits the number of taverns in the township to 8. 1906 - (Fall) Reinforced concrete Hurdman's Bridge opens. This bridge would remain in use until 1955 [Ottawa Citizen, June 14, 1906 p.1, Sepember 22, 1906 p.12, December 13, 1906 p.4]. 1907 - (March 26) Telephone service being extended on Metcalfe Road (Bank Street) between Billings Bridge and Leitrim. 1907 - (March 29) Worst Rideau River flood in years inundates Clarkstown, Janeville, Hurdman's Bridge and Billings Bridge. 1907 - (October 12) Upton Farm is purchased by the Ottawa Hunt Club and officially opened by Earl Grey [Ottawa Journal, October 4, 1907 p.11]. Kennels were previously located opposite the Telegraph office at Billings Bridge and hunts took place at the Upton and surrounding farms [Ottawa Journal, November 5, 1906 p.2]. 1908 - Janeville, Clarkstown and Clandeboye incorporated as the village of Eastview. 1908 - Rockcliffe Park incorporated as a Police Village. 1908 - Warren J. Soper, co-founder of the Ottawa Electric Railway Company, builds a new house in Rockcliffe Park named Lornado [Ottawa Journal, March 21, 1908 p.16]. Previously, this location had a summer home, also known as Lornado and also owned by Warren J. Soper [Ottawa Journal, August 22, 1895 p.7]. 1908 - (July 6) Hamilton Powder Company receives a permit from Gloucester council to build a storehouse or magazine for dynamite at the Robillard Quarries (Rockville) on Montreal Road. Powder had previously been stored relatively unprotected [Ottawa Citizen, July 7, 1908 p.2]. Following a massive explosion at the General Explosive Company in Hull on May 8, 1910 [Ottawa Citizen, May 9, 1910 p.1] in which eleven were killed, there was considerable pressure to close the Gloucester magazine [Ottawa Citizen, June 1, 1910 p.1] but a prior court decision gave the company a right to operate [Ottawa Citizen, June 2, 1910 p.12]. 1909 - Canadian Northern Railway opens running through Gloucester from Hurdman's Bridge to Orléans via Cyrville. 1909 - The first Eastview Town Hall opens on Palace Road. 1909 - Eastview Police Force and Fire Department established. 1909 - St. Jean Baptiste Society established at St. Charles Parish, Eastview. 1909 - First constable appointed for Cyrville. 1910 - Ashbury College relocates to Rockcliffe Park (1911 class photo). It was originally founded in 1891 on Wellington Street. 1910 - The Ottawa Ski Club was formed. The club's first activities emphasized ski jumping and the first primitive ski jump was built at 'Suicide Hill' in Rockcliffe Park [Ottawa Journal, February 15, 1910 p.5]. The Canadian Jumping Championships take place here in 1914. The club acquired Camp Fortune in 1920. 1910 - (April 6) Hiawatha Park subdivision approved. A previous plan had been registered on August 13, 1901 and an even earlier one for the Besserer Estate on March 11, 1897. It was not developed until the 1950s. 1910 - Gloucester experiences Real Estate boom in which several farms were subdivided for suburban development. The boom continued until 1912. 1911 - Gloucester votes by a slim majority but fails to achieve the 60% requirement in order to invoke the Local Option to prohibit the retail sale of liquor in every tavern, inn, or any place of public entertainment [Ottawa Journal, January 4, 1911 p.1]. Another attempt failed in 1913 and does not reach a vote [Ottawa Journal, December 2, 1913 p.13]. 1911 - Council grants a franchise to the Willowdale Telephone Company to operate a rural telephone system in the township. 1911 - A telephone was first installed in the Township Hall. 1911 - Ottawa Wine Vault Co. responds quickly to typhoid epidemic caused by contaminated city water supply. "Tally-Ho" pure spring water is delivered from an Ottawa Hunt Club spring. "Tally-Ho" provided water and soft drinks through the 1910s and 1920s [Ottawa Journal, February 8, 1911 p.7]. 1911 - Blossom Park subdivision approved. Construction did not begin until 1953. 1911 - Sir Robert Borden pledges to provide rural mail delivery. Over the following years, rural route delivery is introduced resulting in the closure of many rural Gloucester post offices. 1911 - Notre Dame de Lourdes Grotto, Eastview originated [Ottawa Journal, June 1, 1961 p.44]. 1911 - (July 31) Paardeburgh Park subdivision registered at the corner of Walkley Road and Albion Road. Most of this subdivision was never developed and became a transportation corridor following World War II. The most easterly portion became part of the Ellwood subdivision. 1911 - (August 9) Overbrook subdivision plan registered and it would first appear on a map the following year. The first streets are named after members of the Royal family including the recently crowned King George V and his wife Queen Mary. 1911 - (September 18) Bannermount subdivision registered. This subdivision was developed along Tremblay Road after World War II when it became known as Eastway Gardens. The streets were named by letter only. 1911 - (November 17) Manor Park subdivision registered. Most of the subdivision was returned to Gloucester Township because of tax arrears. Sewer and water services were extended in 1949 allowing fast development in the area. 1912 - The footbridge at the Rideau Lawn Tennis Club opens to provide streetcar access to the new Overbrook Annex subdivision [Ottawa Journal, July 27, 1912, p.7]. 1912 - (March 12) Brookfield subdivision registered. This market garden community located where Brookfield Road once intersected with the CPR tracks, was expropriated by the federal government between 1957 and 1964. The streets were closed in 1965 and completely disappeared when the Airport Parkway was built in the 1970s. 1912 - Rideau Lawn Tennis Club established by former members of the Ottawa Tennis and Lawn Bowling Club. 1912 - First street lights installed at Billings Bridge to as far south as Heron Road. 1913 - Eastview incorporated as a town. Eastview creates its own Police Department, which was absorbed by the Ottawa Police Service in 1984. 1913 - Construction begins on Ottawa and Morrisburgh Electric Railway running through Gloucester from Billings Bridge to South Gloucester following Metcalfe Road (Bank Street). This railway was never completed. 1913 - (January 25) Municipal Isolation Hospital opens on Porter's Island to treat smallpox patients, replacing former buildings on the site. This was named Hopewell Hospital in honor of the mayor at the time [Ottawa Journal, January 22, 1913 p.1]. 1913- Canadian Northern Railways purchase Upton and Langstaff farms for the purpose of creating a gravel pit. A railway spur is extended to the site just east of Bowesville. 1913- Mappin Block added to Rideau Hall. 1914 - 'Stornoway' built in Rockcliffe Park by Alan Keefer for Ottawa grocer Asconio J. Major. 1914 - (January 5) Canadian Northern Railway opens Ottawa-Napanee line running through Gloucester from Hurdman's Bridge to Rideau River at Wass via Billings Bridge. It is now the VIA rail line between Ottawa and Toronto [Ottawa Journal, December 18,1913 p.2]. 1914 - (January 25) L'Association canadienne-française de l'Ontario relocated to Eastview after being founded in Ottawa in 1910 in order to promote Franco-Ontario rights. 1914 - (April 6) New temporary Billings Bridge completed [Ottawa Journal, April 6, 1914 p.10]. 1914 - (May 1) Eastview Council moves to a new City Hall in a former separate school. The police and fire station also located there [Ottawa Journal, March 23, 1914 p.7]. 1915 - Rockcliffe Preparatory School opens. It was renamed Elmwood School in 1923 as a school for young women. 1915 - The Novitiate of Grey Nuns of the Cross (Grey Nuns Convent) opens near Hurdman's Bridge. 1915 - The second Eastview Town Hall was located at the corner of Montreal Road and Cyr Street with a Fire Hall attached. It was destroyed by fire in 1972. 1915 - First constable appointed for St. Joseph's village (Orléans). 1916 - Overbrook Public School (Gloucester School Section 25) opens. It closes in 2001. School Section 25 was previously in Janeville. 1916 - (September 18) Prohibition takes affect in Province of Ontario. Sale of liquor is prohibited except by druggists [Ottawa Journal, September 18, 1916 p.2]. 1917 - National Research Council first acquires land on Montreal Road. 1917 - By-law enacted to set minimum standards for fencing, and to end the practice of allowing livestock to roam freely throughout the township. 1917 - (December 24) By federal Order-in-Council, new purchases of liquor for importation into Canada was prohibited immediately, with importation of previous purchases to end on January 31, 1918. The transportation of liquor into dry jurisdictions including the Province of Ontario was prohibited starting on April 1, 1918 [Ottawa Journal, December 24, 1917 p.3]. 1918 - The Royal Air Force conducts experimental mail flights between Ottawa and Toronto, using a field adjacent to the Rifle Range at Rockcliffe. 1918 - First steel Mud Creek Bridge over Green's Creek on Innes Road is built. The previous bridge was wooden. 1919 - (June 8) Rideau Lawn Tennis Club clubhouse destroyed by fire [Ottawa Journal, June 9, 1919 p.14]. 1919 - (July 19) A Curtis JN4 biplane is the first known plane to land at what is now the MacDonald-Cartier Airport, called Hopewell Field in the early days. Lieutenant George Mercer was the pilot and Mr. E.J. Draper was passenger [Ottawa Journal, July 21, 1919 p.4]. 1919 - Cosy Theatre opens on Montreal Road at Ethel Street in Eastview. It closed in 1922. This was the first movie theatre to open on the original territory of Gloucester Township. 1919 - An agreement is signed to extend Ottawa water and sewer services into Eastview. 1919 - (September) Three and half miles of concrete sidewalk installed in Overbrook by W.O. Wood [Ottawa Journal, September 6, 1919 p.1]. 1919 - (October) Glen Ogilvie Women's Institute organized. 1919 - (October 20) Ontario residents vote to remain 'dry' on four questions and retain prohibition under the Ontario Temperance Act [Ottawa Journal, October 21, 1919 p.1]. 1920 - Ottawa Air Station opens at Rockcliffe. Airfield used for military aerial photography for topographic mapping, air transportation, and aeronautical experimentation. 1920 - Hog's Back Falls officially named Prince of Wales Falls. Prince of Wales Drive was named at the same time [Ottawa Journal, January 15, 1920]. 1920 - The Dominion Police is merged with the Royal Northwest Mounted Police to form the Royal Canadian Mounted Police, and the national headquarters relocated to Ottawa. In 1921, the RCMP began to make partial use of the former Rifle Range facility at the north end of St. Laurent Blvd. They fully took over this location in 1925. 1920 - William Birch is the last tollgate keeper at Billings Bridge. 1920 - Provincial Bank of Canada is the first bank to open in Orléans [Orléans 1950-1960 Saint Joseph Boulevard Remembers, p.33]. 1920 - (January 10) Three ski jumps of varying size being built at Rockcliffe [Ottawa Journal, January 10, 1920 p.23]. 1920 - (April) Metcalfe Road designated a Provincial County Highway [Ottawa Journal, April 14, 1920 p.1]. 1920 - (September 1) Montreal Road east of Eastview (and St. Joseph Blvd.) becomes a Provincial Highway and in 1925 it is numbered Highway 17. 1921 - (July 13) Current St. Patrick Street bridge opens [Ottawa Journal, July 13, 1921 p.2]. 1921 - Streetcar service extended on Beechwood Avenue and into Lindenlea. 1921 - First fire truck purchased for Eastview. 1921 - Metcalfe Road improved including widening to 66 feet, macadamizing, and construction of new bridges and culverts [Ottawa Journal, March 19, 1921 p.20]. 1921 - (April 18) Ontario votes in favour of prohibiting the importation of liquor. Gloucester Township majority vote opposes with the north half of the township opposing and south half mostly in favour of the extra prohibition measures [Ottawa Journal, April 18, 1921 p.1 and 2]. 1921 - (August 15) The Dominion of Canada Rifle Association Rifle Range opens new Connaught Rifle Range new Shirley's Bay, Nepean, thus closing the Rockcliffe facility [Ottawa Journal, August 6, 1921 p.24]. The Rockcliffe site later becomes the RCMP barracks "N" Division and the home of the RCMP Musical Ride. Streetcar service to the former rifle range is discontinued in 1922. 1922 - Overbrook incorporated as a Police Village. 1922 - St. Joseph d'Orléans (Orléans) incorporated as a Police Village. 1922 - (January 21) Passenger train derails as it approaches Ellwood Station on a run from Prescott to Ottawa. Engineer Howard Edward White dies and 12 passengers are hospitalized [Ottawa Citizen January 23, 1922 p.1]. 1922 - (February 1, Noon) Current Cummings Bridge opens [Ottawa Journal February 1, 1922 p.4]. 1922 - (July 1) An 18 hole golf course officially opened at Ottawa Hunt and Golf Club [Ottawa Journal, June 24, 1922 p.22]. 1923 - The Ottawa New Edinburgh Canoe Club opens a new boathouse at Rockcliffe, which still exists today. Construction had commenced in 1914 but was delayed because of wartime. It replaced its predecessor at Governor's Bay, which was destroyed by fire on December 3, 1922 [Ottawa Citizen, May 14, 1931 p.19]. 1923 - Canada Theatre opens on Montreal Road at Bradley Street in Eastview. It closed in 1926. 1923 - Eastview grants franchise for bus service [Ottawa Citizen, June 28, 1923 pg. 12]. 1923 - (March 7) By-law enacted requiring all Eastview municipal employees to be bilingual henceforth. 1923 - (August 3) Contract awarded to George Farmer to apply bituminous penetration pavement to Metcalfe Road. The pavement extended for a distance of 5 miles south of Heron Road. 1924 - Eastview Town Council turns down proposal from Ottawa Electric Railway (OER) to extend streetcar service. Eastview contracts its own bus service (Eastview Bus Lines), which continues in operation until the service was taken over by the Ottawa Transportation Commission in December 1950. The OER sets up a competing bus service on June 25, 1924 [Ottawa Journal, June 25, 1924 p.1], which runs until April 3, 1929. 1924 - Electrical power introduced into Gloucester Township by Ontario Hydro. 1924 - Royal Canadian Air Force (RCAF) enacted, with Ottawa Air Station at Rockcliffe being one of its bases. 1924 - (October 23) The majority of Eastview and Gloucester ratepayers vote against the Ontario Temperance Act, however, the majority of Ontario votes in favour. The Ontario Temperance Act remains in force [Ottawa Journal, October 24, 1924 p.1 and 14]. 1925 - (April 8) Gloucester Horticultural Society established. Meets at Hawthorne School. Relocates to former Ramsayville School in 1975. 1925 - Rockcliffe Park incorporated as a village. 1926 - (April) Major Rideau River flood affects Ottawa South, Billings Bridge and Hurdman's Bridge [Ottawa Citizen, April 23, 1926 p.1]. 1926 - (May 13) Two buildings destroyed by fire at the Billings Estate including 22 carriages and Gloucester Township records [Ottawa Journal, May 13, 1926 p.1]. 1926 - (October 22) Commandeurs de l'ordre de Jacques Cartier established at St. Charles Parish in Eastview as a male society, to ensure the public interest of French speaking Catholics in Canada. It was dissolved on Feb. 27, 1965. 1926 - Bus service to Hurdman's Bridge operated by Mrs. M. Gorman commences operation. 1927 - (June 1) First Ontario Government Liquor Store opens in Ottawa. Prohibition ends. The Ontario Temperance Act is replaced with the Ontario Liquor Control Act in order to end bootlegging [Ottawa Journal, June 2, 1927 p.2]. 1927 - (July 2) Charles Lindbergh flies into Hunt Club airfield for Canada's 60th Anniversary celebrations. Pilot Lieut. Thad Johnson is killed in a plane crash as he approaches airfield. Airfield becomes known as Lindbergh Field following this but later becomes known as Uplands Aerodrome and later, Uplands Airport. 1927 - (December 8) Former township clerk treasurer Hugh Braddish Billings found guilty of missappropriating $20,000 [Ottawa Citizen, December 9, 1927 p. 14]. 1927- Bank Street (Metcalfe Road) becomes Provincial Highway 31. 1928 - (January 14) Ottawa Flying Club incorporated and operates out of Lindbergh (Uplands) airfield. 1928 - (February 14 and 22) Billings Bridge name change suggested. Possible names include 'Dawson' and 'Southmount'. 1928 - (October 1) The Dominion Bureau of Statistics (now Statistics Canada) locates in the old Edwards Mill on Green Island. The facility is shared with the National Research Council. The Dominion Bureau of Statistics relocates to Tunney's Pasture in 1952. The Edwards Mill was demolished in the summer of 1957. 1928 - Scheduled bus service to Cyrville commences operation. It was taken over by the Ottawa Transportation Commission in 1950. 1929 - (January 16) Eastview Police Commission established [Ottawa Journal, January 17, 1929 p.15]. 1929 - (May 14) The Rockcliffe Park Crown Game Preserve was established in order to combat excessive hunting and poaching. It was further expanded on January 14, 1931 and covered Rockcliffe Park, the Rockcliffe Air Station, Beechwood Cemetery, and other lands extending as far east as Skead Road (Blair Road) and as far south as Montreal Road. It was cancelled in 1945. 1929 - (May 29) A major sewer explosion affects parts of Ottawa, Eastview and New Edinburgh. There was one fatality, several injuries and considerable property damage. This was followed by a second serious explosion on January 28, 1931. Inadequate sewer venting, and leakage (or dumping) of illumination gas, gasoline and dry cleaning chemicals were the suspected causes. 1929 - (June 23) First special demonstations for St. Jean Baptiste day at St. Joseph d'Orléans. A statue for St. Jean Baptiste donated by J.A.J Guerin is benedicted [Ottawa Journal, June 24, 1929 p.13]. 1930 - Billings Bridge Horticultural Society founded [Ottawa Citizen, May 20, 1935 p.20]. 1930 - (March 12) World War I flying ace William George Barker crashes into the frozen Ottawa River and dies while performing aerial demonstrations at Rockcliffe airport [Ottawa Citizen, March 20, 1930 p. 13]. 1930 - Provincial highways named "The King's Highways" to show respect for the King and the monarchy. The familiar provincial highway sign design with the crown is unveiled. 1931 - Hydro towers first erected across Gloucester. Some of these collapsed during the 1998 ice storm. 1931 - (December 14) Rockcliffe streetcar service replaced with bus service entering village. The bus service was discontinued on April 30, 1932 [Ottawa Journal, December 11, 1931 p.25, April 29, 1932 p.1]. 1933 - Steel Mud Creek bridge over Green's Creek on Innes Road re-built. 1934 - (July 14) RCAF air show at Rocklife Aerodrome [Ottawa Journal, July 13, 1934 p.15]. 1935 - The former Soper residence is acquired by the United States government as the residence for the American Ambassador to Canada. The Honourable Norman Armour takes up residence in early November 1936 following extensive renovations [Ottawa Journal, November 4, 1936 p.8, January 10, 1953 p.3]. 1935 - (August 4) Hailstorm causes widespread crop damage on a strip between Metcalfe, Kars, Manotick, Metcalfe, Carlsbad Springs and Orléans [Ottawa Journal, August 5, 1935 p.1]. 1936 - Hog's Back bridge rebuilt. 1936 - Hog's Back beach opens just south of the bridge. It was replaced by Mooney's Bay in 1952. 1936 - A special Ward 6 Separate School Board is created in Eastview by Provincial Act [Ottawa Journal, January 14, 1963 p.44]. 1936 - (July 28) Hail storm causes widespread crop damage in Cyrville, Navan Road, Russell Road and further east in Cumberland Township [Ottawa Journal, July 29, 1936 p.1]. 1937 - 'The Rockeries' Park is created from land donated by the Ottawa Electric Railway, when streetcar rails are lifted on abandoned right of way to former Dominion Rifle Association Rifle Range at Rockcliffe. This is a location known for spectacular displays of daffodils [Ottawa Journal, July 30, 1937 p.12]. 1937 - (March 24) Rockcliffe ski jump being demolished [Ottawa Journal, March 24, 1937 p.19]. 1937 - (June 23) Rockcliffe streetcar barn burns a third time. 1938 - (January 1) Carleton County Police Force disbanded. Three Ontario Police officers named to serve in Carleton County [Ottawa Journal, December 22, 1937 p.3]. 1938 - (August 20) Department of Transport officially opens Uplands Airport. It is at this point that permanent runways, hangars, and terminal are built. 1938 - (October 17) Trans-Canada Air Lines inaugurate air express freight service at Uplands Airport. 1938 - Le Séminaire des Pères Blancs (White Fathers Seminary) opens in Eastview in order to train missionaries for Africa. It closed in 1974 and was demolished in 1977. The Vanier City Hall later located on the same site in a new building. 1939 - CNR abandons old Canadian Northern Railway between Hurdman's Bridge and Orléans and beyond. 1939 - Rockcliffe airfield paved in preparation for World War II operations. 1939 - French Embassy opens on Sussex Drive on land purchased from the Blackburn family in 1931. 1939 - (September 1) No 1 Provost Company is called into active service by the army and trains at the RCMP "N" Division, Rockcliffe. This company is composed of RCMP volunteers. 1940 - Rail spur built from Wass Junction to Uplands Airport to facilitate Air Training School construction. 1940 - British Commonwealth Air Training Plan begins at Uplands airfield (construction of 37 buildings and 6 new runways commences on May 14 and the training school opens August 5) [Ottawa Journal, August 6, 1940 p.3] (Canadian Forces Base Uplands History) and at Rockcliffe airport to train pilots for the war effort, using Harvard and Yale aircraft. Continues until 1944. 1940 - Department of National Defence purchases land near Blackburn to establish Proving Grounds. 1940 - Crown Princess Juliana of the Netherlands and her children take up residence in Rockcliffe Park until 1944. Part of their stay was at Stornoway, later the residence of the Leader of the Opposition. Princess Margriet was born at Ottawa Civic Hospital on January 19, 1943. 1940 - Sundial plaque and cairn erected by the Gloucester Horticultural Society at the corner of Walkley Road and Russell Road in memory of Reeve John Innes who died in office in 1939. 1940 - (April) Eastview Chamber of Commerce formed [Ottawa Citizen, April 19, 1940 p.9]. 1940 - (September 27) Yale Training aircraft crashes two miles south of Uplands killing Wing Commander Grenville Hammerton Shaw, Westmount Quebec of the Royal Air Force and Flying Officer Donald Sidney Thomson Young, Montreal Quebec of the RCAF. The plane crashed into a rock outcrop on the Kemp farm in Leitrim [Ottawa Citizen, September 28, 1940, p.12, Ottawa Journal, September 28, 1940 p.32]. 1940 - (October 1) Remainder of the Rockcliffe streetcar barn is demolished [Ottawa Citizen, September 30, 1940, p.23]. 1941 - #1 Special Wireless Station opens at Rockcliffe. It relocated to Leitrim in 1942, and it was known as Ottawa Wireless Station starting in 1949. Since 1966, it has been named CFS Leitrim . 1941 - The J.H. Parkin Building is the first building to open on the National Research Council's Montreal Road campus. 1941 - The Novitiate of Grey Nuns of the Cross, Alta Vista Drive is taken over by the Department of National Defense for the duration of the war and becomes the Rideau Military Hospital. 1941 - (January 7) Harvard Training aircraft crashes between Uplands and Edwards. Leading Aircraftmen J.R. (Earl) Dority of Ottawa and H.N. Dawson of Winnipeg were killed [Ottawa Citizen, January 7, 1941 p.1]. 1941 - (May 5) Trainer plane crashed just north of the Hunt Club Golf Course on the farm of Bert H. Dowler. Flying Officer D.F. (Donny) Phelan of Toronto and LAC Jack W. Munro of Ottawa were killed [Ottawa Journal, May 6, 1941 p.13]. 1941 - (June 17) Overbrook and Bannermount lots offered for sale by Gloucester Township. The lots had previously been lost to tax arrears. 1941 - (September 13) Twin engined Cesna monoplane crashes on the farm of R.P. Brouse, two miles south of Ramsayville. Squadron Leader Francis Evan Robert Briggs of Ottawa and Flight Lieutenant Wallace Richards of the Rockcliffe RCAF station were killed [Ottawa Journal, September 15, 1941 p.13]. 1941 - (October 20) Approval given by Gloucester Township Council to build a new Manotick Public School [By-law 19 for 1941]. 1941 - (November 3) Taxi License By-Law 21 approved by Gloucester Township Council. 1941 - (November 16) Two planes collided over Gloucester Township, one crashing on the west side of Bowesville Road about 3 miles south of Uplands while the second plane crashed on the farm of James Quinn on the east side of Bowesville Road. Pilots LAC Richard Wallace Heath of Lebanon, New Hampshire and LAC James Ward Anderson of Montreal were killed [Ottawa Journal, November 17, 1941 p.7]. 1942 - (July 11) Uplands Bus Lines terminal opens in Ottawa South [Ottawa Citizen, July 11, 1942 p.6 includes photos and timetable]. 1942 - (October 14) Head-on railway collision on CNR line just west of Metcalfe Road (Bank Street) at Billings Bridge. 20 horses were killed or euthanized and 6 crewmen were injured. 1943 - Canadian Forces Station Gloucester opens, originally named Number 1 Station HMCS Bytown. 1943 - Federal Government serves expropriation notice for 24 Sussex Drive, which was not settled until 1946. It was used by the Australian High Commission from 1947 to 1950, at which time the house was substantially renovated. Louis St. Laurent is the first Prime Minister to reside there in 1950. 1943 - (May 15) RCAF Squadron Leader George V. Miscampbell of Eastview is killed in a crash landing of a Mosquito aircraft at Rockcliffe Airport. Also killed, was Sergeant F.M. Dickinson of Woodstock NB [Ottawa Journal, May 18, 1943 p.17]. 1944 - (March 10) Capital Carbon and Ribbon Company factory, John Street, Eastview, destroyed by fire. $50,000 damage and George Golden dies in the fire [Ottawa Journal, March 10, 1944 p.1]. 1944 - (June 5) Cowan Ice House destroyed by fire at Billings Bridge. 1945 - The first township park was purchased at Leitrim. 1945 - First demonstration in Canada of jet aircraft takes place at RCAF Station Rockcliffe. 1945 - Pineland dance hall opens on Bowesville Road next to the Ottawa Hunt and Golf Club. 1945 - (June 29) School Area 1 formed from School Sections 3, 6 and 7 [Gloucester By-Law 5 for 1945]. 1945 - (June 29) School Area 2 formed from School Sections 9, 10 and 25 [Gloucester By-Law 6 for 1945]. 1945 - (September 24) Rideau Health and Occupational Centre officially opens on 280 acres facing the Rideau River and on Smyth Road. This would later become the Rideau Veterans' Home. [Ottawa Journal, September 25, 1945 p.20]. 1946 - School bus service commences to transport high school students from Gloucester, Nepean and Cumberland to Ottawa schools. 1946 - Families are living in emergency shelters at the Rockcliffe Air Force barracks and the army barracks on Porter's Island, as a result of a post-war housing shortage. The Porter Island barracks were demolished shortly thereafter. The Rockcliffe facility was known as the 'Rockcliffe Emergency Shelter' with a Post Office name of Finter. It was closed in 1954 and demolished. 1946 - (July 28) Harvard training plane crashes on the farm of Ovide St. Jean near Blackburn. Two pilots were killed including Flight Officer T.A. Seeman of Ottawa [Ottawa Journal, July 29, 1946 p.20]. 1946 - (December 19) Eastview Theatre opens on Montreal Road at Kendall Street [Ottawa Journal, December 20, 1946 p.25]. It closed on February 15, 1958. 1947 - The National Capital Planning Committee, under the direction of Jacques Gréber, develop and subsequently implements the Gréber plan. 1947 - The Ottawa Planning Area Board was created to review the administration of the National Capital Region. It recommended a form of regional government or as an alternative, the annexation of surrounding communities. 1947 - Uplands Bus Lines introduces bus service to the Rideau Veterans Home on Smyth Road. Uplands Bus Lines also operated a bus service to Uplands airport and Bowesville, which was inaugurated around the start of World War II. These were the first suburban bus services introduced into the southern part of Gloucester. They were taken over by the Ottawa Transportation Commission in July 1950. 1947 - (May 15) Uplands emergency shelter opens in former RCAF buildings. It closed on August 31, 1951. 1947 - (October 1) Expropriation Notices served to 200 property owners on the east shore of the Rideau River from Overbrook to Mooney's Bay [Ottawa Journal October 1, 1947 p.1]. 1947 - (August 25) Linden Theatre opens on Beechwood Avenue. It was renamed the Towne Cinema in July 1968 and became a repertory theatre in February 1973. It was renamed the New Edinburgh Cinema in May 1989 but closed in August of that year. 1948 - Street Lighting installed on Bank Street from Heron Road to Walkley Road, in Rideau Park, Cyrville, Orléans, Russell Road east of Hurdman's Bridge (now Terminal Avenue) and on St. Laurent Boulevard (then Base Line Roade) from McArthur Avenue to Arundel Avenue and on Arundel Avenue in Manor Park [Gloucester Council Minutes 1948]. 1948 - Sidewalks installed in Overbrook[Gloucester Council Minutes 1948]. 1948 - Whale bones found at Foster's sandpits at Uplands and again in 1955 [Ottawa Journal, November19, 1955 p.29]. 1948 - (January 1) Municipal Pension Plan established as required by Section 404, Paragraph 41a of the Municipal Act [Gloucester By-Law 2 1948]. 1948 - (April 28) Garbage Dump approved between Billings Bridge and Hurdman's Bridge [ Gloucester Council Minutes 1948 By-Law 34]. 1948 - (May 17) Gloucester Township Council requests to establish Gloucester High School District [Gloucester Council Minutes 1948]. 1948 - (June 11) Vampire Jet Fighter crashed 400 feet west of Skead Road (Blair Road) near the Ottawa River. Flying Officer Rooney Alexander Hodgins of Ottawa and Campbells Bay was killed [Ottawa Journal, June 12, 1948 p.3]. 1948 - (July 1) Carleton Health Unit established serving Gloucester and Nepean Townships [Gloucester By-Law 1 1948]. 1948 - (August 13) The Ottawa Electric Railway Company including streetcars operating in New Edinburgh, Lindenlea and Rockcliffe Park are taken over by the City of Ottawa and operate under the name Ottawa Transportation Commission. 1948 - (November 15) By-law passed to have the Ontario Provincial Police patrol Gloucester, beginning with one car. The police station is situated at Bank Street and Ridgemont. The building still exists. 1948 - Construction begins on a Roman Catholic Seminary near Hurdman's Bridge. It became RCMP headquarters in January 1953 and never served as a seminary. 1949-1950 - Most of the village of Ellwood is expropriated to allow for the construction of the Walkley Rail Yards and the Metcalfe Road (now Bank Street) overpass. 1950 - (January 1) 14,605 acres of the township is annexed by the City of Ottawa. This included Overbrook, Hurdman's Bridge, Billings Bridge, Ellwood, Hog's Back, Manor Park, Rideau Park, Hawthorne and the developing communities of Riverview and Alta Vista. 1950 - Fire Department was housed behind Town Hall. Annexation places Gloucester Town Hall, Fire and Roads Department miles inside of Ottawa city limits. 1950 - A citizen's trust purchases 'Stornoway' as the home for the Leader of the Opposition. The Federal Goverment purchases it in 1970. The Hon. George S. Drew is the first Leader of the Opposition to reside there. 1950 - The former Grey Nuns Convent and Rideau Military Hospital, Alta Vista Drive becomes the headquarters of the CBNRC (Communications Branch of the National Research Council, now the Communications Security Establishment) and is known as the Rideau Annex. It remains there until 1961 when it relocates to the Sir Leonard Tilley Building, Confederation Heights. 1950 - 333 acres acquired from the Grey Nuns of the Cross by the City of Ottawa, which would later become the Riverview Park subdivision [Ottawa Journal, July 14, 1950 p.1]. 1950 - Final Gréber Plan released. 1950 - (March 28) U.S. Ambassador Laurence Steinhardt was killed in a plane crash near Ramsayville. The crash site was located near Baseline Road (now Ramseyville Road) and Leitrim Road on the farm of A.R. Gould. It was a C-47 Dakota Transport plane that had departed from Rockcliffe Air Station. The plane had caught fire and exploded before impact. Also killed were Allan Harrington, Captain Thomas Archibald, Lt. Col. W.F. Trueblood, and Lieut. Mark Belanger. There was one survivor. [Ottawa Journal, March 28, 1950 p.1]. 1950 - (April 27) Gloucester Volunteer Fire Commission established [Ottawa Journal, April 28, 1950 p.34]. 1951 - Bowesville expropriated for expansion of Uplands Airport (now Ottawa's MacDonald-Cartier International Airport). 1951 - (July 10) The 200 foot outdoor New Edinburgh Swimming Pool opens on the former site of the Flat Rocks Swimming hole. It was located west of the end of Stanley Avenue on the edge of the Rideau River and was filled with river water [Ottawa Journal, July 10, 1951 p.12]. 1951 - (July 13) Aladdin Drive-In Theatre opens on Albion Road. It closed in 1993 [Ottawa Journal, July 12, 1951 p.8]. 1951 - (August 30) Star-Top Drive-In Theatre opens on Cyrville Road. It closed in 1974 [Ottawa Journal, August 30, 1951 p.11]. 1951 - Lester Road built between Highway 31 and Albion Road. 1951 - Albion Road named and opened between Lester Road and Johnston's Corners in order to provide a replacement road for Bowesville Road being closed for airport expansion. 1951 - Rothwell Heights begins to be subdivided. 1951 - Les Soeurs Antoiniennes de Marie opens next to the White Fathers Seminary in Eastview. It later became the Vanier Public Library. 1951 - (February 16) Bank and Grove waiting room opens as the terminus for Bank streetcars and Uplands and Metcalfe Road bus lines [Ottawa Journal, February 16, 1951 p.1]. 1951 - (April) Bus service extended to Hawthorne. 1951 - (June 16) Harvard plane crashes into Uplands airport runway during Ottawa Flying Club air show. Flight Lieutenant Vrooman is killed [Ottawa Journal, June 18, 1951 p.3]. 1952 - Hog's Back community expropriated for parkland. 1952 - CMHC (Central Mortage and Housing Corporation, later the Canada Mortgage and Housing Corporation) opens its headquarters on Montreal Road. It was originally established in 1946 to provide housing to returning war veterans. 1952 - (May 26) Footbridge at Rideau Lawn Tennis Club swept down river by strong currents. It was not rebuilt [Ottawa Journal, May 27, 1952 p.1, p.3]. 1952 - (July 1) Mooney's Bay Beach opens, replacing the Hog's Back beach that closed the same day. 1953 - Alta Vista water tower built [Ottawa Journal, March 11, 1953 p.3 photo, May 1, 1953 p.3 photo]. 1953 - (July) Bank Street railway overpass at Ellwood opens [Ottawa Journal, July 28, 1953 p.14]. 1953 - (October 11) St. Louis Marie de Montfort Hospital is officially opened [Ottawa Journal, October 17, 1953 p.29]. 1953 - Eastview Broadcasting Corporation established to broadcast radio. The project is abandoned. 1953 - Ottawa Dairy Ice House (also owned by the Cowan family) west of Bank Street demolished. It had been originally expropriated in 1947 [Ottawa Journal, December 27, 1949 p.14]. 1953 - (January) RCMP Headquarters relocates to Hurdman's Bridge on the former site of a seminary. 1953 - (June 24) Cessna 140 monoplane crashes at the farm of Kenneth Boyd, killing RCMP Constables John Derrie McWhinney and Willard Boehler. 1953 - (November) Bus service extended to Riverview Park. 1953 - (October 19) Streetcar service discontinued along Sussex Drive to Rockcliffe Park. This allows for the construction of the new Bytown Bridges at Green Island. A trial bus service into Rockcliffe village began on October 31, 1953 [Ottawa Journal, October 29, 1953 p.3]. The trial bus service ended on November 14, 1953 [Ottawa Journal, November 16, 1953 p.3]. 1953 - (November 18) New cross-town railway tracks open at Walkley Yards, and from Wass Junction to Hawthorne Road [Ottawa Journal, November 18, 1953 p.18]. Wass Junction is named after Silas B. Wass, who was a railway consultant for the Federal District Commission and responsible for negotiating and the construction of this track. 1954 - (November 16) Queen Mother officially opens Bytown Bridges connecting Lower town with New Edinburgh and Rockcliffe at Green Island [Ottawa Journal, November 16, 1954 p.1]. 1954 - Passenger service discontinued on Ottawa and New York railway between Ottawa and Cornwall. 1954 - Customs and Immigration office added at Uplands airport to accommodate direct transatlantic flights [Ottawa Journal, March 8, 1954 p.1]. 1954 - (March 24) Eastview voters defeat plebicite that would have allowed the sale of liquor in restaurants and taverns [Ottawa Journal, March 25, 1954 p.1 and 3]. 1954 - (October 21) Billings Bridge Plaza opens [Ottawa Journal, October 21, 1954 p.39]. 1954 - Rideau River blasting commences to prevent spring flooding in New Edinburgh, Eastview and Billings Bridge. 1955 - (August 13) Canadian National Railways relocate freight operations from Elgin Street to Walkley Yards at Ellwood [Ottawa Journal, August 13, 1955 p.3]. 1955 - (May 2) Lockheed Lightning aircraft crashes just south of Uplands Airport killing pilot C.P. McEvoy of Edmonton. Gloucester farmers Donald and Murray Hope witness crash. 1955 - (September 15) Roman Catholic Minor Seminary opens on Carson Road. It was blessed on October 2 by His Excellency Marie-Joseph. Lemieux, Archbishop of Ottawa. This Seminary first opened in 1925 on Rideau Terrace and was later located in St. Joseph's Orphanage [Ottawa Citizen, Oct. 3, 1955 p.3]. This is now the site of La Cité collegiale. 1955 - (December 19) New Hurdman's Bridge opens. The Queensway will eventually use it. 1955 - (December 19) Dunbar Bridge opens extending Bronson Avenue to Heron Road. Named after the Hon. George Dunbar. 1956 - (May 15) Fighter plane crashes into the Villa St. Louis Convent operated by the Grey Nuns near Orléans. 15 killed. 1956 - (late) Swing bridge over Rideau River at Manotick replaced with high level bridge [Ottawa Journal, October 16, 1956 p.3]. 1957 - Billings Avenue flag station abandoned by CPR [Ottawa Journal, July 10, 1957 p.19]. 1957 - Queen Elizabeth launches Queensway construction just east of Hurdman's Bridge. 1957 - CPR discontinues passenger service on old Bytown and Prescott Railway. 1957 - Military flight testing and development operations relocated from RCAF Station Rockcliffe to RCAF Station Uplands. 1957 - (January 31) Manor Park Shopping Centre opens. [Ottawa Citizen, January 31, 1957 p.18]. 1957 - (May 1) Major fire destroys half a block of Cyrville including the Post Office operated by Wilfrid Cyr, a furniture store and leaving 32 homeless. [Ottawa Citizen, May 2, 1957 p.1]. 1957 - (September) The cornerstone of the Major Seminary of Ottawa on Kilborn Avenue near Bank Street is blessed by His Excellency Marie-Joseph Lemieux, Archbishop of Ottawa, on November 25, 1956 and opened in September 1957 [Ottawa Citizen, Nov. 26, 1956 p.7]. 1957 - First trees have to be removed in the Ottawa area because of Dutch Elm Disease. 1957 - North Gloucester Little League Baseball organized. 1958 - Construction begins at Confederation Heights office campus. 1958 - Federal District Commission (now the National Capital Commission) decides to expropriate 22,500 acres of Gloucester farmland for the Greenbelt. 1958 - The Merkley Brickyard at Billings Bridge closes after being expropriated by the federal government in 1954. This became the site of the RA Centre. The brickyard was demolished at the end of 1960. 1958 - Vincent Massey Park opens. 1958 - (March 29) Fine's Flowers greenhouses owned by Harry Fine officially opened on Riverside Drve [Ottawa Journal, March 28, 1958 p.10]. 1958 - (Early May) New bridge opens over west channel of Rideau River at Manotick [Ottawa Citizen, May 8, 1958 p.20]. 1958 - (September) First library opens in the basement of Saint Joseph School. The first library board was established by the Orléans Police Village in 1962. 1959 - Streetcar service discontinued. 1959 - New Mud Creek Bridge built over Green's Creek on Innes Road. 1959 - Accidental sonic boom seriously damages new Uplands Airport terminal, delaying opening until the following year. 1959 - (June 28) Archbishop Lemieux officially opens the Villa Madonna Retreat House on St. Joseph Boulevard (Old Montreal Road), Orléans. It is operated by the English speaking Oblate Fathers. It replaced a previous facility on Carling Avenue [Ottawa Journal, June 29, 1959 p.3]. The building was sold by the church in 1970 and demolished in 2008 and replaced with a more modern building, which is now the Madonna Care Community [Ottawa Journal, June 5, 1970 p.3]. 1959 - (July 1) A joint Gloucester-Nepean Police Department was established. 1959 - (September 2) Coca-Cola truck crashes into Bank and Grove bus terminal. There were no injuries. [Ottawa Citizen, September 2, 1959 p.7]. 1959 - (December 5) Curling Club officially opened at the Ottawa Hunt and Golf Club [Ottawa Journal, December 7, 1959 p.17]. The Curling Club survived the 1962 fire. 1960 - (September 2) The Ottawa Transportation Commission (now OC Transpo) opens its new headquarters on St. Laurent Blvd. 1960 - (November 21) Bank and Grove waiting room re-opens following 1959 closure serving as the terminus for Alta Vista, Metcalfe Road and Uplands bus routes [Ottawa Journal, November 18, 1960 p.2]. The waiting room remained in use until December 1973. 1960 - (November 25) Queensway opens from Hurdman's Bridge to Green's Creek. 1961 - National Defense Medical Centre opens. First known as Tri-Services Hospital. 1961 - Gloucester Historical Society founded. 1961 - (June 29) Elmvale Shopping Centre opens. 1962 - (March 10) Ogilvy's Department Store opens at Billings Bridge Plaza as part of major expansion of the shopping centre [Billings Bridge Plaza, A Swan's Tale, p.12]. 1962 - (June 16) New Township Hall opens at Leitrim. Fire and Works Departments also transferred to Leitrim. 1962 - (February 25) Clubhouse destroyed by fire at Ottawa Hunt and Golf Club [Ottawa Journal, February 26, 1962 p.1]. 1962 - Wind tunnel opens at Uplands Airport. 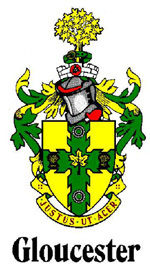 1963 - Gloucester Coat of Arms designed by Allan Beddoe and approved by council. The coat of arms was officially put into use on January 1, 1968. 1963 - First Official Plan for the Township approved. 1963 - Eastview incorporated as a city. 1963 - (September 3, official opening November 1) Gloucester High School opens, the first high school opened in Gloucester Township [Ottawa Journal, September 3, 1963 p.4, November 2, 1963 p.9]. 1963 - (June 3) Green's Creek Pollution Control Centre, now known as the R.O. Pickard Environmental Centre, opens. 1963 - (August 28) Odeon Queensway drive-in theatre officially opened north of Montreal Road near the Queensway [Ottawa Journal, August 24, 1963 p.32]. It closed in 1986. 1964 - (June 4) St. Patrick's Home for the Aged, first established in 1865, relocates to Riverside Drive opposite from Mooney's Bay.. The Home was officially opened on October 31, 1964 by Archbishop M. Joseph Lemieux. 1964 - (July 9) Agreement signed to proceed with the Beacon Hill development, which introduced development fees for the first time in Gloucester. Fees funded the extension of water mains, sanitary and storm sewers. Fees ranged from $200 for lots up to 6.000 square feet to $300 for lots greater than 7,500 square feet, $350 for duplexes and $1,200 per acre for multiple units [Ottawa Citizen, July 10, 1964 p.1]. 1964 - CPR abandons old Bytown and Prescott Railway between Sussex Drive and Beechwood Avenue. 1964 - National Aeronautical Collection amalgamated at Rockcliffe Airport for public display. 1964 - The first Township Recreation Board, GCCB, is established. 1964 - Uplands Airport renamed Ottawa International Airport. 1964 - Flying Operations cease at RCAF Station Rockcliffe. 1964 - The Carleton West-Russell Historical Society founded, amalgamating local historal groups including the members of the Gloucester Historical Society. 1965 - (January 1) Local school boards replaced by Gloucester Public School Board (elementary schools only). 1965 - Ritchie Feed and Seed Ltd. opens new mill and warehouse on Innes Road [Ottawa Journal, October 9, 1971 p.9]. 1966 - (March) Gloucester library board established. 1966 - New VIA Rail Station opens on Tremblay Road. 1966 - Terminal Avenue Railway Freight Terminals open. 1966 - Morrison-Lamothe Bakery building is completed on St. Laurent Boulevard. This was leased to the federal government in 1967 for the Museum of Science and Technology which became its permanent home. [Ottawa Journal, March 27, 1967 p.2]. 1966 - Overbrook Community Centre opens. 1966 - Orléans water system being built [Ottawa Journal, October 4, 1966 p.3]. 1966 - (August 10) Heron Road Bridge collapses while under construction. 9 killed. 1966 - (August 30) Smyth Road Bridge opens. Its official name is the George McIlraith Bridge named after a former Liberal MP, senator and cabinet minister. 1966 - (November) St. Louis Home for the Aged, Orléans, opened replacing St. Charles Home and is operated by the Grey Nuns of the Cross. It was officially dedicated on September 10, 1967 [Ottawa Journal, September 11, 1967 p.2]. 1966 - (December 13) Henry Munro Public School opens, originally with 6 classrooms in Beacon Hill. It is named after the person who obtained the original Crown land grant for the property [Ottawa Journal, December 14, 1966 p.57]. It became a middle school in September 1971 [Ottawa Journal, March 16, 1971 p.36]. 1967 - (October 21) Centennial Pool, the first indoor pool opens on Ogilvie Road, next to Gloucester High School [Ottawa Journal, October 23, 1967 p.39]. 1967 - (January) Riverside Hospital opens. 1967 - (October 4) St. Laurent Shopping Centre opens. 1967 - St. Laurent Cinemas open in the St. Laurent Shopping Centre. It closed in 2001 but reopened as the Rainbow Cinemas later. 1967 - (May 20) Air Canada DC-8 crashes at Uplands airport. 3 crew members die. 1967 - (June 28) Gloucester Ratepayers vote in favour of a "wet" Gloucester allowing the sale of liquor in restaurants, lounges and taverns. [Ottawa Journal, June 29, 1967 p.2]. 1967 - (June 29) Heron Road Bridge opens to traffic [Ottawa Citizen, June 29, 1967 p.2]. 1967 - (November 15) Memorial unveiled for men killed in the Heron Road Bridge collapse on August 10, 1966 [Ottawa Citizen, Nov. 16, 1967 p.21]. 1967 - (November 17) Orléans Public Library opens at 4 p.m. above the bank in the Jean Gauthier building at 2744 St. Joseph Boulevard [Ottawa Journal, November 17, 1967 p.36]. In November 1978, the Orléans Branch was renamed the Bériault Branch, in honour of Dolores and Marcel Bériault, founders of the library. It relocates to the Orléans Recreation Complex in August 1982. A further move occurs in 1993 to 1705 Orléans Boulevard. 1967 - Maple Leaf-Almrausch Club opens (Bavarian Folk Dance Group and Soccer Club). The building was destroyed by fire in February 1980 and rebuilt. 1968 - Gloucester Lions Club established. 1968 - Grant MacIntosh of MacIntosh & Watts buys the Ottawa Montegards Junior Hockey Team and renames it the Ottawa M&W Rangers. The team is renamed the Gloucester Rangers in 1973 and the Orléans Blues in 2005. The team played in the Earl Armstrong Arena for most of its history. 1968 - (January 17) Blair Road Queensway Interchange opens. 1969 - (January 1) Carleton County dissolved. Regional Municipality of Ottawa-Carleton replaces it. 1969 - Carleton Board of Education formed which includes Gloucester schools. With this ends local school section and school area boards. 1969 - (March 12) Ottawa-Gloucester Guardian starts publication. 1969 - (April 12, 13) 500 tombstones toppled in Notre Dame Cemetery [Ottawa Journal, June 23, 1969 p.4]. 1969 - City of Eastview renamed City of Vanier to honour the memory of Governor General Georges Vanier who died in 1967. 1969 - (September 27) Leitrim Arena opens. It was renamed the Fred G. Barrett Arena July 9, 1984 following his death. 1970 - (May 15) Airport Drive-In opens on Uplands Drive [Ottawa Journal, May 15, 1970 p.23]. It was converted into airport parking following the 1997 drive-in season. 1970 - Gloucester Council passes by-law to clarify the name of the Third Line as 'Innes Road' east of Cyrville Road. Other names in use included Blackburn Road, Bearbrook Road, Cyrville-Navan Road and Navan-Cyrville Road [Ottawa Journal, February 4, 1970 p.14]. Innes Road west of Cyrville Road was likely named shortly after the 1950 city annexation. 1970 - Leitrim resident Fred Barrett joins the NHL. He plays most of his career with the Minnesota North Stars. He retired in 1984. Brother John also made the NHL in 1980 with the Detroit Red Wings, and played until 1987. 1970 - Gloucester lacrosse organized. 1970 - Madonna Retreat House on St. Joseph Boulevard, Orléans sold by the Roman Catholic church and becomes the Madonna Nursing Home [Ottawa Journal, June 5, 1970 p.3]. 1970 - The minor seminary on Carson's Road sold by the Roman Catholic church to the federal government and becomes the Language Training Centre [Ottawa Journal, June 5, 1970 p.3]. 1970 - (October 5) New main Ottawa Post Office opens on Alta Vista Drive [Ottawa Citizen, Oct. 7, 1970 p.12]. 1970 - (November 22) Gloucester Police Station opens in the former Leitrim Public School. 1971 - (April 3) Earl Armstrong Arena opens, including the Ogilvie Road branch of the Public Library [Ottawa Journal, April 5, 1971 p.18] The Ottawa M & W Rangers first played here on January 21, 1971 [Ottawa Journal, January 21, 1971 p.18]. 1971 - (September) Colonel By Secondary school opens. The school was founded in September 1970 but shared the Gloucester High School building until the new school was ready. 1971 - Robert Hopkins Public School opens. Named after a former Gloucester Reeve [Ottawa Journal, August 31, 1971 p.26]. 1971 - Thomas Cruise Mapother IV (Tom Cruise) moves to Beacon Hill with father Thomas III (Canadian military consultant), mother Mary Lee Pfeiffer and sisters Lee Anne, Marian and Cass. Tom attends Grade 3, 4 and 5 at Robert Hopkins Public School and Grade 6 at Henry Munro Middle School before returning to the United States in 1974. Read about Tom Cruise's early life. 1971 - (July 5) Beacon Hill Bullet bus service inaugurated (to and from downtown). It was taken over by OC Transpo on March 2, 1973. 1971 - (July 6) New Edinburgh Swimming Pool closes because it did not meet provincial regulations. The location is now tennis courts [Ottawa Citizen, July 6, 1971 p.3]. 1971 - Gloucester Skating Club started. 1972 - Blackburn fun fair inaugurated. 1972 - Canadian Forces Station Gloucester closes. 1972 -Lycée Claudel opens at 1635 Riverside Drive, previously the University of Ottawa High School. Lycée Claudel is a private french language school offering elementary and secondary education. It was first established in 1962. 1972 - (February 3) Vanier Police Station and former Vanier Council Chambers and Fire Station on Montreal Road destroyed by fire. The building was originally a schoolhouse dating to the Janeville era [Ottawa Journal, February 4, 1972 p.3]. 1972 - (September 21) First section of Highway 417 opens from Ramsayville to Vars. [Ottawa Journal, September 22, 1972 p.3] The final leg at 'the split' was not completed until 1975. 1972 - Pineview Golf Course revived as a joint venture between the City of Ottawa, Gloucester Township and the National Capital Commission to serve as a membership based municipal golf course. 1972 - The Vanier City Hall was relocated to Dupuis Street after the previous City Hall was destroyed by fire. This later became a Police Station. 1972 -(June 24) Gloucester Players (drama club) founded. Founders include Tom and Mary Lee Mapother (parents of Tom Cruise) [Ottawa Journal, June 24, 1972 p.29]. 1972 - (August 24) Ottawa-Carleton Regional Detention Centre opens on Innes Road. 1972 - (October 25) Elmvale Shopping Centre converted to an enclosed mall. This subsequently reverted back to an open-air mall. 1972 - (November 22) Billings Bridge Plaza opens as an enclosed mall [Ottawa Journal, November 21, 1972 p.16]. 1972 - (Early December) Airport Parkway opens [Ottawa Journal, February 15, 1973 p.3]. 1972 - Gloucester Coat of Arms first appears on Gloucester police cars. 1973 - Pineland becomes Tudor Inn Banquet Hall (next to Ottawa Hunt and Golf Club). 1973 - (January 16) Information Gloucester established as a volunteer staffed organization to field questions about life in Gloucester [The Guardian, January 9, 1974 p.1]. 1973 - Blackburn Branch of the public library opens at 2536 Innes Road. 1973 - Gloucester Police Force and the Gloucester Lions Club collaborate with the purchase of 'Lionel', the talking safety car. 1973 - (November 30) Overpass opens to access St. Laurent Shopping Centre [The Guardian, December 12, 1973 p.1]. 1974 - (January 1) Gloucester cedes the north half of Long Island at Manotick to Rideau Township. 1974 - Police Village of St. Joseph d'Orléans (Orléans) dissolved. 1974 - (Spring) Children's Hospital of Eastern Ontario opens on Smyth Road. 1974 - Lester B. Pearson Catholic High School opens. 1974 - A pair of Australian black swans are added to the population of "Royal" swans as a result of a donation by the Montreal zoo. The swans are housed each winter at Leitrim. 1974 - (February) The South branch of the public library opens in Blossom Park, initially at the Kmart plaza at Bank and Queensdale. This branch closed in 2006 and was replaced with a larger library in Greenboro. 1975- Gloucester Fair opens for the first time at the Earl Armstrong Arena. It relocated to Rideau-Carleton Raceway in 1997. 1975- Cairine Wilson Secondary School opens. 1975 - (November 6) Vanier opens new Fire Hall and Public Works building on McArthur Avenue [Ottawa Journal, November 7, 1975 p.21]. 1975 - (November 25) The last section of Highway 417 within Gloucester opens. 1976 - (March) Gloucester Block Parent program commences. 1976 - (April) The monthly Gloucester Guide was first published in order to distribute Gloucester Township information and community news. It became the Gloucester Leader in September 1981 and ceased publication in April 1994, when the City of Gloucester decided to cancel its contract to publish city proceedings with the Leader. 1976 - (July 15) Olympic flame arrives at Gloucester Place (Earl Armstrong Arena) on way to Montreal. 1976 - Blackburn arena opens. 1976 - Rideau Skating Club founded based in the Manotick Arena with some activities also taking place in the Fred Barrett Arena. 1976 - Ottawa Athletic Club founded on Lancaster Road. 1977 - New Township garage opens south of Innes Road near Cyrville Road. 1977 - Clubhouse at Pineview Golf Course destroyed by fire. 1977 - (January) Gloucester Synchro Swim club is formed. 1977 - (September 7) The new Hog's Back bridge opens. 1977 - (October 15) Gloucester resident Tracey Clark named Miss Ottawa Rough Rider [Ottawa Journal, Oct. 17, 1977 p.39]. 1977 - (December 9) Gloucester Community Police Committee established. 1978 - (July 22) Gloucester Police headquarters re-opens at Leitrim after the former Leitrim Public School was demolished and replaced. The station had temporarily been located in the former Johnston's Corners Public School building on Rideau Road. 1978 - (May) Gloucester Historical Society re-established. 1978 - Gloucester Songsters (choir) established. 1979 - (March 12) Gloucester Centre for Community Resources (social services) opens. 1979 - (May 8) Quota Club of Gloucester chartered. This was a women's service club. 1979 - Gloucester resident Pat Messner wins Gold Medal in women's slalom water skiing at World Championships. Pat also won a Bronze medal for the same event in the 1972 Summer Olympics, amongst many other achievements in the same sport. 1979 - (August 28) Place d'Orléans Shopping Centre opens [Ottawa Journal, August 24, 1979 p.18]. 1980 - (February 19) CF-101 Voodoo Jet Fighter crashes at Ottawa International Airport. Pilot Captain Robert Abbott of Ottawa and navigator Captain Albert Oostenbrug of Stratford, Ontario are killed [Ottawa Citizen, Feb. 20, 1980 p.1, p.41]. 1980 - (September 12) Orléans Recreation Complex officially opened. It had been open for use since the spring of 1980. 1980- (November 24) Gloucester Arts Council established. It was renamed Arts Ottawa East after city amalgamation in 2001. 1980 - Ottawa General Hospital opens on Smyth Road. 1980 - Vanier Cineplex opens on Montreal Road just east of the Vanier Parkway. It closed in 2000. 1980- Developer Dorothea Athans proposes a movie studio as part of a 126 acres development at the corner of Hawthorne and Blais Roads. It was never built. 1980 - Gloucester Volunteer Awards established. 1980 - Second phase of Vanier Parkway opens between McArthur Avenue and Coventry Road. [Ottawa Citizen, September 13, 1988 p.D3] The final phase connecting to the MacDonald-Cartier Bridge was never built. 1980 - Township of Gloucester incorporated as a City. 1981 - Gloucester Achievement Awards established. 1981 - Gloucester Allotment Garden Association established, taking over discontinued NCC program. 250 garden plots are located in Blackburn Hamlet and on Anderson Road. 1981 - Gloucester Meals on Wheels established. 1981 - Gloucester North Police sub-station opens in a trailer at Shoppers City East on Ogilvie Road. 1982 - (Fall) Gloucester Leisure Service Guide first published. 1982 - (Dec. 12) Billings Bridge Plaza bus terminal opens. 1983 - (May) TV Gloucester first broadcast on Skyline Cablevision. 1983 - (Sept. 24) Gloucester flag designed by Harold Diceman first flown. 1983 - Gloucester Resident Horst Bulau finishes second overall in World Cup Ski Jumping Final Standing. Horst is a prominent world ski jumper from 1978 until 1988. He is named Ontario Athlete of the Year for 1983. 1983 - Gloucester South Seniors' Club established. It met at the E.D. Jones Library in Blossom Park starting on January 9, 1984 and later relocated to the former township hall in Leitrim. 1983 - École élémentaire Séraphin-Marion originally opened using temporary facilities at Lamira Dow Billings Elementary School. In 1985, it relocated to the former Fairfield Public School. In 2004, it took over a renovated former Lamira Dow Billings School, which had closed in 2002. The school is named after Franco-Ontarian Séraphin Marion (1896-1983) who was a supporter of francophone minorities. 1983 - (December 11) Hurdman Station and Transitway link to downtown opens via Hurdman Transitway Bridge [Ottawa Citizen, December 9, 1983 p.22]. 1984 - Gloucester Council approves a City Centre concept for the area at Blair and Ogilvie Road. 1984 - Ontario government extends separate school funding to Grade 13. Grade 11 added in September 1985, Grade 12 in September 1986 and Grade 13 in September 1987 [Ottawa Citizen, April 15, 1986 p.C3]. 1984 - Vanier Police amalgamated with Ottawa Police. 1984 - (January 14) Cyrville community centre opens. 1984 - (June) Innes Road water tower put into service. 1984 - (June 18) North Gloucester Branch of Public Library opens at 2036 Ogilvie Road. The former location in the Earl Armstrong Arena closed on May 15, 1984. 1984 - (July 3) Mayor Fred G. Barrett dies in office. Leitrim Arena renamed in his honour. 1984 - CPR abandons old Bytown and Prescott Railway between Ellwood (near Walkley Road) and Bank Street. 1984 - Bearbrook soccer fields renamed Hornet's Nest Park. 1985 - (July 1) Vanier Fire Department amalgamated with Ottawa Fire Department. 1985 - (August 14) Regional development fees phased in. Full rates begin January 1, 1987 amounting to $3,090 for single family and semi-detached homes, $2,250 for row houses and $1,500 for apartment and condominium units [Ottawa Citizen, August 15, 1985 p.B1]. 1985 - Vanier City Hall relocated to 300 avenue Pères-Blancs in the Richelieu Centre on the former site of the White Fathers Seminary. Another building on the site was put to use as the Vanier Public Library. 1986 - (July 2) Hope cemetery at Leitrim approved. 1986 - Gloucester Chamber of Commerce established. 1986 - CPR abandons short line railway between Hurdman's Bridge and Blackburn and beyond. VIA Rail retains rights to convert this line into a high speed rail link to Montreal. 1986 - (Summer) Historic Hurdman's Bridge demolished [Ottawa Citizen, March 12, 1986 p.B3]. 1986 - Orléans Star commences publication. 1986 - Hunt Club Road extended east to Conroy Road [Ottawa Citizen, November 13, 1986 p.6]. 1987 - Telesat Canada and the National Sport and Fitness Administration Centre both open headquarters in the Gloucester City Centre. 1987 - (December 8) New Ottawa Fire Station Number 6 officially opened at Beechwood and Marquette [Ottawa Citizen, December 8, 1987 p.C2]. 1988 - New City Hall opens at 1200 Blair Place. 1988 - Gloucester Resident Elizabeth Manley wins Silver Medal in Ladies' Figure Skating at Olympics in Calgary, Alta. 1988 - Hope Roman Catholic cemetery opens on Bank Street at Leitrim. 1990 - La Cité Collégiale, Ottawa's french language college, opens on St. Laurent Blvd near Conroy Road. Its permanent campus opens in 1995 on the Aviation Parkway. 1991 - Gloucester Pottery School founded at the Cyrville Community Centre. It relocated to the Shenkman Arts Centre in June 2009. School History. 1991 - (July 21) 1st Annual Lebanese festival takes place while St. Elias Church was still under construction across from Mooney's Bay. 1993 - Ottawa International Airport renamed Ottawa MacDonald-Cartier International Airport. 1993 - A major expansion of Ottawa City Hall on Green Island is completed. It was designed by Moshe Safdie. City Hall relocates to the former Regional Headquarters on Laurier Avenue upon amalgamation in 2001, and the old building is sold to the federal government. 1993 - Ottawa Baseball Stadium opens at the corner of the Vanier Parkway and Coventry Road. The Ottawa Lynx of the International League played there until 2007. The Ottawa Rapids of the Can-Am League played there in 2008, which was to be renamed the Ottawa Voyageurs for 2009 but the new team never played. Starting in 2010, the Ottawa Fat Cats played in the Intercounty Baseball League. The Lynx were the triple A affiliate of the Montreal Expos during the early years and the Baltimore Orioles in the last seasons. 1993 - The Orléans branch of the Gloucester Public Library relocates to 1705 Orléans Boulevard. 1993 - (November 8) Lester Road extension to airport opens. 1994 - Military presence at Rockcliffe is terminated. 1994 - The Ontario Geographic Names Board officially decides that Orléans is to be spelt with an accute accent. 1995 - Uplands military facility decommissioned but the VIP transport unit of No. 412 Squadron continues to use airport. 1995 - Ottawa, Gloucester and Nepean Police amalgamated as Ottawa-Carleton Regional Police Service. This was renamed as Ottawa Police Service in 2001. 1995 - CSIS (Canadian Security Intelligence Service) opens headquarters on Ogilvie Road. 1995 - (February 20) Gloucester North Lions Club chartered. The Charter President was Lion Ken Macdonald. 1995 - (September 3) Greenboro transit station opens along with the Southeast Transitway from Billings Bridge to Hunt Club Road. 1996 - South Keys Shopping Centre opens. 1996 - (November 2) Southeast Transitway opens between Riverside Hospital and Billings Bridge [Ottawa Citizen, November 3, 1996 p.4]. 1997 - Gloucester Fair relocates to Rideau-Carleton Raceway on Albion Road. 1998 - (January 1) Highway 17 and 31 cease to be provincial highways. Highway 17 east of 'the split' becomes Regional Road 174 while Highway 31 briefly becomes Regional Road 85 before being renumbered more appropriately Regional Road 31. Regional Road 174 has become a bit of a political football as a result of suggestions that it be widened as far east as Rockland in the 2007 provincial election and because of ongoing maintenance problems that are more expensive than municipal budgets allow. 1998 - (January 5th to 9th) Great Ice Storm causes widespread blackouts in Eastern Ontario and Southern Quebec. Hydro towers collapse near Navan Road and Edwards, the latter being an area that experienced power outages lasting several days. Armed Forces called in to assist in repairs. 1998 - Gloucester City Hall relocates to 1595 Telesat Road. This was its final location. 1998 - Carleton Board of Education almagamated into the Ottawa-Carleton District School Board. 1999 - CPR abandons old Bytown and Prescott Railway between Leitrim Road and Manotick Station and beyond. 1999 - City of Gloucester becomes sole owner of Pineview Golf Course. 1999 - Civic, General and Riverside Hospitals amalgamate as Ottawa Hospital. 1999 - (February 24) Tudor Hall, originally Pineland burns down. A new building has been built [Ottawa Citizen, February 25, 1999 p.C3]. 2000 - Slots open at Rideau-Carleton Raceway. 2000 - Gloucester Hydro amalgamated with Hydro Ottawa. 2001 - (January 1) City of Gloucester amalgamated with the City of Ottawa. 2001 - (January 1) Gloucester Professional Fire Fighters Association Local 1484 merged with Ottawa Professional Fire Fighters Association Local 162, an affiliate of the International Association of Fire Fighters. 2002 - (December) Albion Road is closed to through traffic at Lester Road amidst ongoing controversy. The intersection was re-opened on November 28, 2007. 2004 - St. Jerome Catholic Elementary School opens in Riverside South. [Ottawa Citizen, December 26, 2004, p.C4]. 2005 - Gloucester Chamber of Commerce renamed Eastern Ottawa Chamber of Commerce. 2006 - Innes Road widened east of Orléans Boulevard. Construction had begun in 2005 [Ottawa Citizen, April 29, 2007 p.A7]. 2006 - (August 23) Gloucester Council passed a resolution to rename the Orléans Recreation Complex to Bob MacQuarrie Recreation Complex in recognition of his service to Gloucester and Orléans. 2006 - (October 11) Vanier Museopark opens in the former Vanier City Hall. 2006 - With considerable controversy because of a Avian flu scare, the "Royal" Swans spend the entire summer in captivity at the Leitrim swan house. They were again released on the Rideau River in 2007. 2006 - (June 7) Greenboro District Library opens replacing the Blossom Park Library. 2007 - (June 27) Rideau Canal is announced as an UNESCO World Heritage Site. [http://www.rideau-info.com/canal/notice-worldheritage.html]. 2008 - (April 1) Champlain Local Health Integration Network (LHIN) founded and located in Gloucester [EMC - Ottawa South, Feb. 24, 2011 p.1]. 2008 - (Sept. 24) Richard and Annette Bloch Cancer Survivors Park opens at Alta Vista Drive and Industrial Avenue. 2008 - (November) Rotary Club of Orléans chartered. 2008 - First ash trees killed by Emerald bark beetle in the vicinity of St. Laurent Blvd. and Ogilvie Road. This imported pest is expected to eliminate all ash trees in the Ottawa area over the next 10 years. 2009 - (May) Ottawa Rotary Home opens at Leitrim. This is a respite facility for those with disabilities and under 21. 2009 - (July 31) The former Canadian Forces Base Rockcliffe (RCAF Station Rockcliffe) is closed to the public and fenced off. 2009 - (Sept.) The Eastern Ottawa Chamber of Commerce, originally the Gloucester Chamber of Commerce merges with the Ottawa Chamber of Commerce. 2010 - (November) The first double lane traffic circle in Ottawa opens at St. Joseph Blvd. and Jeanne d'Arc in Orléans. 2011 - (December 27) Capital Exhibition (CE) Centre hosts its first event and is located on Uplands Drive near MacDonald-Cartier International Airport. 2012 - (August 24) Harry Allen Bridge officially named. Located on St. Joseph Boulevard where it crosses Green's Creek, this honours the former Gloucester mayor. 2013 - (May 9) Wabano Centre for Aboriginal Health opens at 299 Montreal Road in Vanier. The building was designed by Douglas Cardinal. 2013 - (May 27) Herongate Mall demolition begins and is completed with the exception of cleanup on July 26. The former Zellers Store was demolished in 2012. 2013 - (August 21) Braddish Billings plaque unveiled in Linda Thom Park at the north end of Billings Bridge. It commemorated the 200th anniversary of his arrival as first permanent settler of Gloucester Township. 2013 - (October 19) John Innes plaque unveiled at the former township hall at Leitrim. Mr. Innes was Gloucester Reeve from 1931 to 1939 and had also served as Carleton Country Warden. This plaque replaced a 1940 cairn formerly located at the intersection of Walkley Road and Russell Road. 2013 - (October 20) The Société franco-ontarienne du patrimoine et de l'histoire d'Orléans releases the book titled "Orléans 1950-1960 Saint Joseph Boulevard Remembers" with the intention of installing 26 plaques in 2014 on Saint Joseph Boulevard to remember 32 different historic locations. 2014 - (March 18) The arrival of an air transport plane accompanied by two fighter jets at MacDonald-Cartier International Airport represented the return of the final military personnel from Afganistan conflict. 2014 - (July 12 1:00 p.m.) Strandherd-Armstrong Bridge officially opened connecting Riverside South and Barrhaven. 2014 - (August 21 9:00 a.m.) Hunt Club Road interchange and extension between Hawthorne Road to Highway 417 opens. 2014 - (September 6) Rockcliffe Parkway renamed the Georges-Etienne Cartier Parkway on the 200th anniversary of his birth. [Ottawa Citizen, September 8, 2014 p.A3]. 2014 - (September 11, 3:00 p.m.) Museum of Science and Technology evacuated and closed because of unacceptable air quality. On November 18th, it was decided that the building would require a major reconstruction. [Ottawa Citizen, December 3, 2014 p.A1]. 2015 - (June 12) First track laid for Confederation LRT Line at Belfast Maintenance Yard. 2015 - (June 28) Eastern Transitway closes for conversion to LRT. 2015 - (December 4) Adawe Pedestrian Bridge opens between Donald Street in Overbrook and Somerset Street East in Sandy Hill. 2015 - (December 20) Transitway permanently closed between Hurdman and Lees Station for bridge repairs and LRT construction. 2016 - (May 11) The pedestrian bridge across the Queensway at the baseball park is named the Max Keeping bridge [Ottawa Citizen, May 12, 2016 p.A2]. Highway 17 1920, 1952, 1998 also see Regional Road 174, Montreal Road, St. Joseph Blvd. Uplands Airport 1927, 1938, 1939, 1940, 1941, 1951, 1954, 1955, 1959, 1960, 1962, 1964, 1967, see also Hunt Club Field, Lindbergh Field, Ottawa International Airport, MacDonald-Cartier International Airport.